Let Us Make A Fair All-Cash Offer on Your Fontana House. 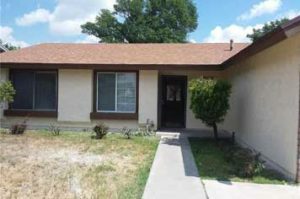 We Buy Houses in Fontana CA…in Any Condition and at Any Price. Are your thinking “I need to sell my house fast in Fontana CA?” Then Check Out How Our Selling Process Works. We buy houses in Fontana CA and we’re ready and able to give you a fair offer for your home. We are a solutions-based company here in Southern California and we can help you get out from under your unwanted property. Let us buy your California house now, regardless of its condition or the situation your may be facing. It doesn’t matter if you’re trying to avoid foreclosure, moving to another city, going through divorce or have a house that needs costly repairs. It doesn’t matter if you live in it, rent it out, it’s sitting vacant or if it’s not even habitable. It doesn’t matter to us what your situation is…we can help you find the best solution to your unique problem situation. Do You Need to Sell Your House in Fontana CA? Even if you’ve already tried to sell your house with an agent but failed, we can help. There are times when selling a house the traditional way through a real estate agent is not the best option. It requires a lot of time and expense to prepare a house and list it for sale. It can take many months to sell, even up to a year, if it sells at all. All that hassle creates stress and adds months to the process, and after paying the agent’s expensive commission, you may or may not be ahead of the game. If you don’t have the time or the patience to fix up your house and list it for sale and are looking for an easier way, then we can help. We buy houses in Fontana Ca like this one on Madrana Ave. Get your fair cash offer today! We buy houses in Fontana CA. Now you can bypass the whole awkward process of having to show your house to an endless stream of buyers, parading through your home and your personal space. You will only have to show it to us once. And, we will close on your time frame, so you don’t have to wait and hope your house will sell. When we buy your house, you can rest assured that it is sold and you can move when it’s convenient for you. We’ll know right away if we can help you, and unlike selling through an agent, you don’t have to worry about your buyer getting loan approval… we’re ready and able to buy your house right now because we use our own money and don’t need to rely on a bank for financing! We Buy Houses in Fontana CA Fast for Cash. Which method is right for you really comes down to how much Time, Money and Effort you have to spend. Let’s take a closer look at each. If you need to sell your house fast, then listing it with an agent or selling it yourself is probably not the best option. Your house can sit on the market for months, even up to a year waiting to sell. If you need a fast, hassle-free sale, then selling to a cash buyer like us is the quickest way to sell your house. We buy houses in Fontana Ca and can make you an offer in 24 hours and have a check in your hand in as little as 10 days. When you add up all these costs, you might end up with less cash in your pocket than selling to an all cash buyer. Because when you sell to us, you won’t pay any closing costs, fees or commissions. Even though we can’t offer a full retail price, when you figure in all costs and fees you won’t have to pay, many times you might end up with more money in your pocket. Selling your house through a real estate agent or selling it yourself requires a significant amount of effort. You must prepare and clean the house, make necessary repairs, find a trustworthy agent, keep the house clean 24/7 to show to an endless stream of buyers, go through the ups and downs of escrow…hoping that your buyer gets loan approval and doesn’t back out at the last minute, only to start the whole process over again. Selling your house to a cash buyer like us requires the least amount of effort. We buy houses in Fontana Ca As-Is which means you won’t need to clean or fix anything and you only have to show it to us once. We buy houses in Fontana CA fast and we’d like to make you a fair cash offer and close when you’re ready! No matter the condition of your house – your situation – or time frame…our goal is to make your life easier and help you get out from under that property that’s stressing you out… while still paying a fast, fair, and honest AS-IS price for your Fontana home. We help property owners just like you, in all kinds of situations. From divorce, foreclosure, death of a family member, burdensome rental property, and all kinds of other situations. We buy houses in Fontana CA and throughout the San Bernardino area. Sometimes, those who own property simply have lives that are too busy to take the time to do all of things that typically need to be done to prepare a house to sell on the market… if that describes you, just let us know about the property you’d like to be rid of so you can sell your house fast in Fontana CA. Fontana is a city in San Bernardino County, California. Founded by Azariel Blanchard Miller in 1913, it remained essentially rural until World War II, when entrepreneur Henry J. Kaiser built a large steel mill in the area. It is now a regional hub of the trucking industry, with Interstate 10 and State Route 210 transecting the city from east to west, and Interstate 15 passing diagonally through its northwestern quadrant. The United States Census Bureau estimated Fontana’s 2017 population at 211,815, making it the second-most populous city in San Bernardino County and the 19th largest in the state. The name fontana is Italian for fountain or water source, being in close proximity to the Santa Ana River to the east. Fontana was founded in 1913 by Azariel Blanchard Miller. Within a few years it became an agricultural town of citrus orchards, vineyards and chicken ranches astride U.S. Route 66 (now known as Foothill Boulevard). The Fontana area was radically transformed during World War II when Henry J. Kaiser built one of only two steel mills west of the Mississippi River outside the city limits. To provide for the plant workers’ health needs, Henry J. Kaiser constructed the Fontana Kaiser Permanente medical facility, now the largest managed care organization in the United States. In the 1950s and ’60s, Fontana was home to a drag racing strip that was a venue in the NHRA circuit. Mickey Thompson’s Fontana International Dragway was also referred to as Fontana Drag City or Fontana Drag Strip. The original Fontana strip is long since defunct, but the owners of NASCAR’s new Auto Club Speedway opened a new NHRA-sanctioned drag strip in Fontana in mid-2006 to resurrect Fontana’s drag-racing heritage. We buy houses in Fontana CA 91708, 91710 and all across Southern California. If you need to sell your house fast in Fontana CA, connect with us… we’d love to make you a fair no-obligation no-hassle offer. Take it or leave it. You’ve got nothing to lose.